When it comes to versatility, the potato reigns supreme as one of the most beloved and adaptable foodstuff. French fries, mashed potato, potato bake, roast potato, potato gems, hash browns – without potatoes our lives wouldn’t be nearly as good. It’s that time of year when we meet up with friends and family to celebrate the festive period, which usually entails a lot of food-centric gatherings. If you are strapped for ideas but are flush with spuds, then put them to good use with these five potato-based recipes that will be sure-fire winners at the table. Potato gems, potato nuggets, tater tots – no matter what you call them, we all get a little bit excited when we picture trays of golden bites of crispy potato. Despite a near-universal love for tater tots, no one will be impressed if you arrive for your holiday gathering with a bag of frozen gems. If you really want to have a tilt at some gourmet tots, make them yourself. 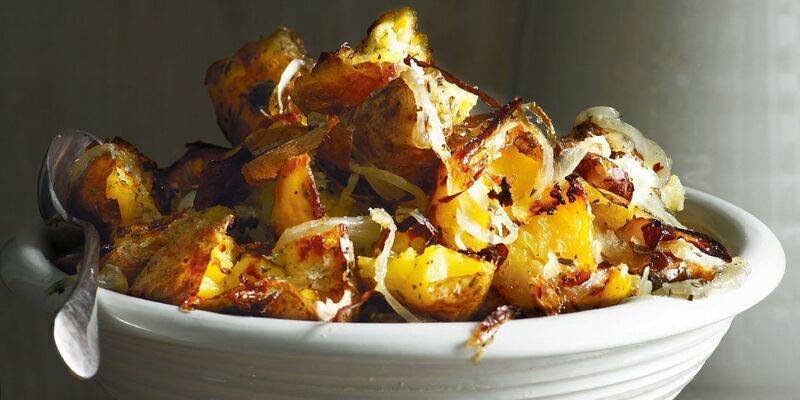 It’s not that hard – just get a cheese grater and shred up some parboiled potatoes, throw in some seasonings, pop them in some hot oil and then serve. You’d best make a few servings as these bad boys will certainly disappear fast. This fancy-sounding dish is relatively simple in concept. It’s mashed potatoes with cheese – a pairing of two of our favourite food groups into one creamy substance. Picture a pillowy pile of rich mash, threaded and mixed with your choice of grated comte or gruyere cheese. Sounds almost too decadent, doesn’t it? It might be wise to invest in a potato ricer to make things easier, but some elbow grease will be required to mix in the cheese and whip it to the ideal consistency. 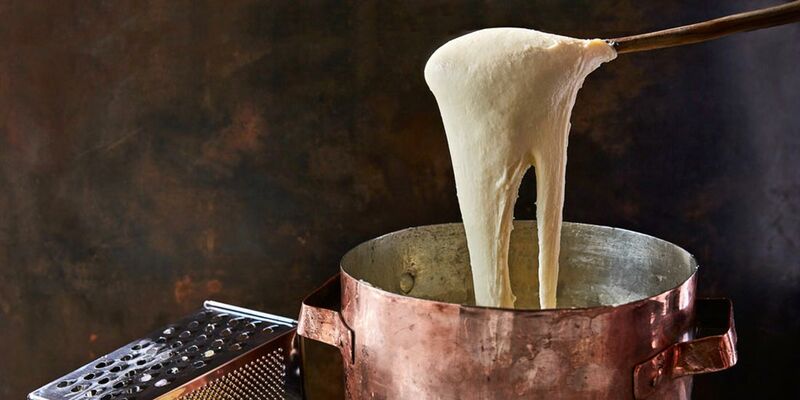 There is an art to getting aligot just right, but when you nail it, your friends and family will no longer be able to tolerate just any regular mash. 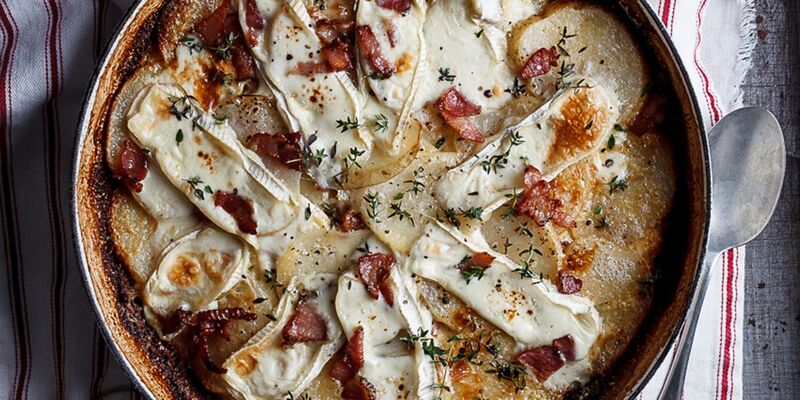 For the uninitiated, tartiflette is a dish that originates from Savoy, a region of the Western Alps, which is made with potatoes, reblochon cheese, lardons (small cubes of pork fat) and onions. 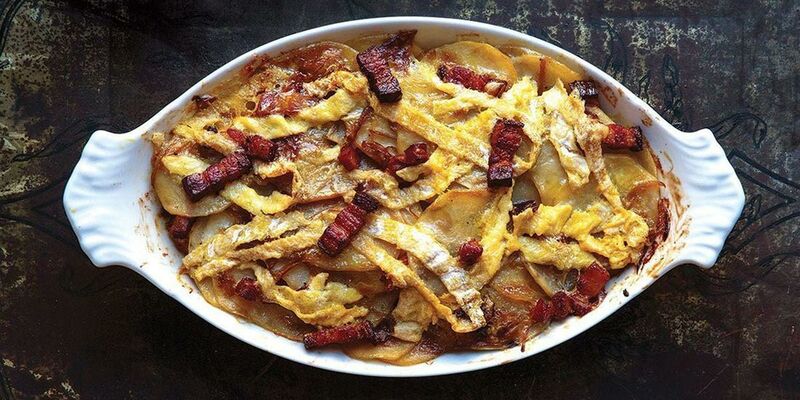 Part potato bake, part casserole, tartiflette is an undoubtedly impressive piece of cooking, and also one that is undeniably delicious. The reblochon adds a creaminess that will have mouths watering uncontrollably, and this recipe includes the addition of bacon and white wine, which is a sure-fire way to add a bit of festive flair to any dinner assembly. The humble roast potato has long been a staple of family lunches and dinners, so it would be almost criminal to leave it off this list. In the spirit of experimentation it’s only fair that we give you a slightly more gourmet spin to try this year, which is why we’ve selected this twice-roasted potato recipe with onion, herbs and chilli. Fresh potatoes are pricked, baked and torn into chunks, before being scattered with onion, rosemary, thyme, chilli flakes and garlic and roasted again until the house smells amazing and the potatoes are crispy and golden. We’d devour this as a side, but we’re also not against piling our plate high with just potato – that’s how good this recipe is. Who needs a sugar-loaded cake for dessert when you can just keep things savoury and opt for an immense potato cake instead? This recipe requires a bit of clarified butter to unite slices of potato into one gargantuan monument to carbs, but the effort is well worth it. Heat the butter in a skillet and add your potato slices, coating them before arranging them into an overlapping pattern. Season, drizzle on a bit more butter, then cook over low heat until tender before baking them until crisp. This is the cake we want for every occasion, such is our love of carbs. As we discussed before, the potato is versatile. There is almost a mind-boggling number of recipes that we could have included, but we’ll settle for only a few more. We also love the look of this easy bacon and brie potato bake, this simple breakfast hash, potato salad with seven-minute eggs and mustard vinaigrette, potato blinis, and truffled gnocchi with peas and chanterelles. 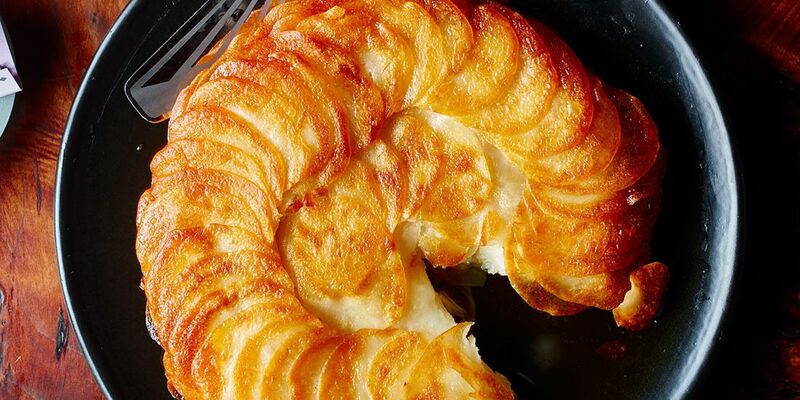 The greatest gift you can give this Christmas is potato, just ensure it’s wrapped in the form of something tasty.